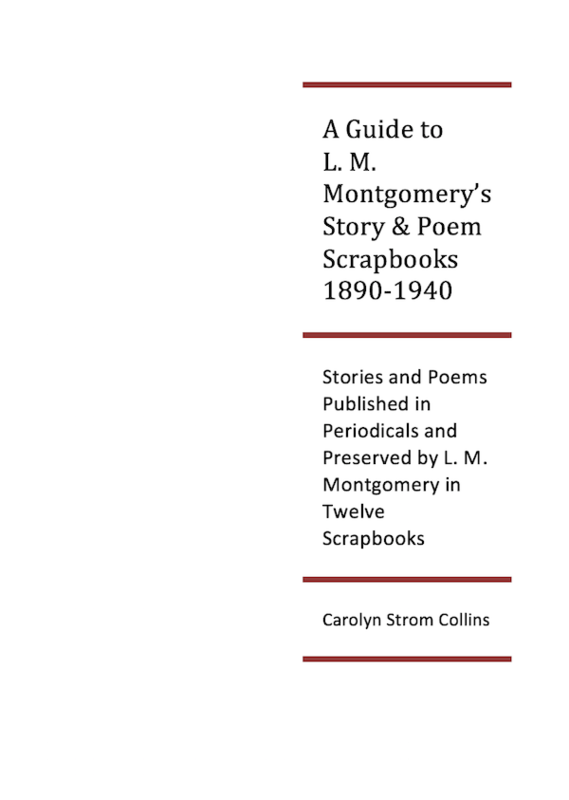 This Guide includes Tables of Contents and an index for Montgomery’s twelve scrapbooks containing hundreds of her stories and poems published in periodicals and preserved in the scrapbooks by Montgomery herself. The original scrapbooks are kept in the Confederation Centre in Charlottetown; photocopies are available in the Special Collections Department of the Robertson Library at UPEI. Since the clippings were not placed in any particular order in the scrapbooks, scholars who wish to find specific stories and poems in them will find this Guide a useful tool to locate the titles quickly in the scrapbooks.